There's a rare European 'Master System II' cover variation which was on some late pack-in copies. 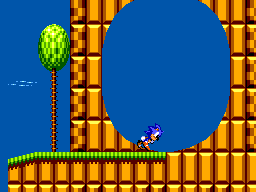 Ride a runaway railcart, fly a hang glider through a raging storm, and shoot through a mind-boggling maze of twisting pipes as you and Sonic The Hedgehog race to save Tails and his friends from the evil Dr. Robotnik! It's the hottest 8-bit action ever! 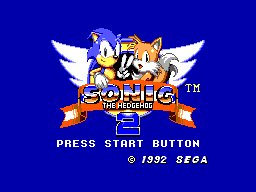 On controller two, hold Up/Left + Buttons 1 and 2 and power on the Sega Master System. 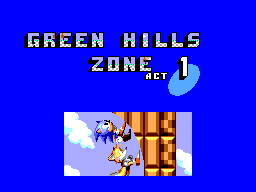 Wait until Sonic finishes running and the title screen is displayed, then on controller one, press Button 2 to display the level select screen.